Every First Sunday of the month we have a Fellowship potluck lunch after the worship service. On potluck Sundays we do not have Sunday school and we begin at 10:30 A.M. with a Children’s Program followed by the worship service at 11:00 A.M.
Before our regular worship schedule we have a coffee break so we can visit with each other while enjoying a hot drink. Thank you for taking time to visit our website. I do hope you find encouragement in the posts we have. As we go through this Advent Season in anticipation of Christmas, let us take time to reflect on the meaning of Jesus’ coming into our world. From what we see in the Bible, the prophets of old were anxiously looking forward to the day God’s promises would be fulfilled in the coming Messiah. The Messiah would come in the form of a baby boy. Among other names he would be called are: Wonderful Counselor, Mighty God, Everlasting Father, Prince of Peace. He would also be the Immanuel, God with us. According to the prophets, the Messiah would usher spiritual renewal, peace unknown to humankind, and the very presence of God among mortals. And who would not anticipate with joy and high hopes such a beautiful world? I would, too. On the night Jesus was born, the angels announcing his birth sang: “Glory to God in the highest heaven, and on earth peace to those on whom his favor rests.” That first Christmas Day heaven touched earth. Heaven came down and the earth was lifted up. But the promise of spiritual renewal and peace beyond imagination, to be ushered by the coming Messiah, only happens if he is born in our heart. When God’s grace or favor rests on our heart, we experience the presence of the Immanuel: God is with us. Then we can experience new life and God’s peace that cannot be taken away. Christmas can be a stressful time. It should not be so. It should be a time to rejoice and to be grateful for the gift God gave us. Jesus Christ was born on Christmas Day, long ago, but he can be born in our heart today if we ask him. And he will give us the joy and peace that was promised in his coming. This Advent Season, I want to wish God’s joy and peace by receiving Jesus, God’s Messiah. It is his birthday we will once again be celebrating this Christmas Day. May the Lord bless you this Christmas as you and your loved ones celebrate his birthday. First Mennonite Church in Paso Robles area was established in the Fall of 1897. When Mennonites families from Germany, Russia and other US States came to California, they settled in the west of Paso Robles. Typically, wherever Mennonites go, they hold Sunday services. So, at the beginning, these families met in homes. When more families came, they erected a church building in the San Marcos Ranch near Chimney Rock around 1898. Due to travel distances and some cultural differences the congregation divided. One group organized in Paso Robles in the fall of 1903; the other organized in San Marcos in 1904. In 1911 the San Marcos Church moved to the corner of Vineyard Drive and Dover Canyon Road. This church was known as the Willow Creek Church. In January 1967, a fire consumed the Willow Creek Church building. The location where this church used to be is where the Willow Creek Mennonite Cemetery is. After the fire the two groups began to meet in the Paso Robles Church. From its beginning, neither of these congregations was large in numbers, but their presence and impact in the community is still on going. It is our prayer to continue serving God as we keep serving our community, not in our own strength but in the Lord’s. 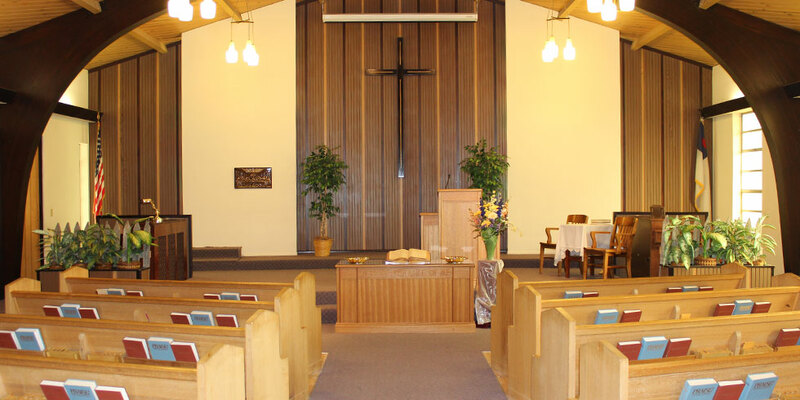 First Mennonite Church of Paso Robles is member congregation of Mennonite Church USA and a member congregation of the Pacific Southwest Mennonite Conference.